Enter your request in as much detail as possible, specifying your requirements. You will be contacted as soon as possible. 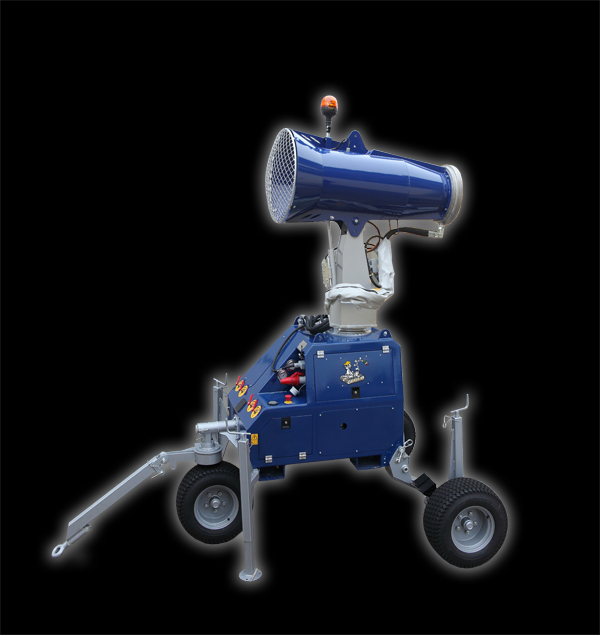 Mist cannon, ideal for operation in urban areas. Noiseless and with reduced water and electrical consumption. The A-JET35S requires a 400 V power supply with a consumption of 4 kW (version without pump) or 9 kW (version with pump). The A-JET35S can cover a work site equal to 3800 m2 at 360°. The 64 nozzles in stainless steel, supplied by a pump that has a 3.5 m3/h flow rate, at a working pressure of 10 bar, guarantee perfect misting that, mixed with an air flow rate of 10100 m3/h at a speed of 40.1 m/s, ensure a range of 35 m.
Depending on the requirements at the construction site, the A-JET35S can be transformed at any time into the version: 2.7 m column, 5.7 m arm, wall-mounted shelves, stabilisers, concrete base, trolley, trolley with generator, tracked undercarriage. 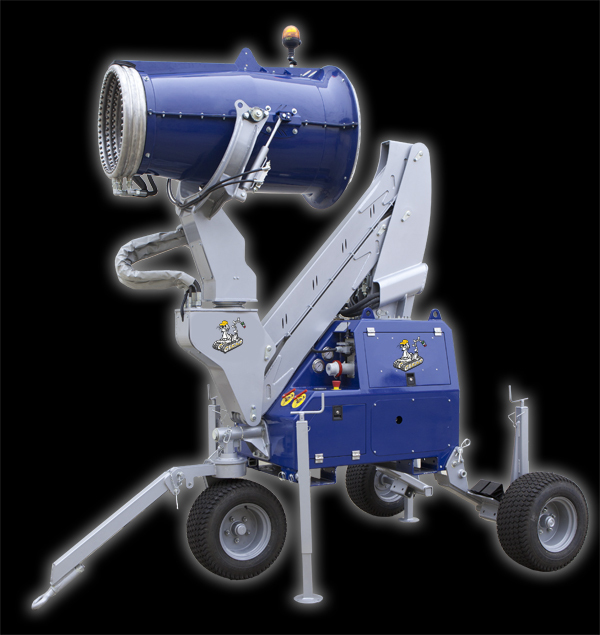 Mist cannons ideal for large size areas like waste disposal centres, quarries and production plants. Great mist flow rate with limited electrical power consumption. The A-JET65S requires a 400 V power supply with a consumption of 11 kW (version without pump) or 15 kW (version with pump). The A-JET65S is able to cover a work site equal to 13300 m2 at 360°. The 156 nozzles in stainless steel, supplied by a pump that has a 7.2 m3/h flow rate, at a working pressure of 8.5 bar, guarantee perfect misting that, mixed with an air flow rate of 30,000 m3/h at a speed of 38 m/s, ensure a range of 65 m.
Depending on the requirements at the construction site, the A-JET65S can be transformed at any time into the version: 2.7 m column, 5.7 m arm, wall-mounted shelves, stabilisers, concrete base, trolley, trolley with generator, tracked undercarriage.